LUNCH IS $2.75 PER DAY at the Elementary and $2.85 at the HS. Paying On Line! Belpre City School Food service provider, AVI Foodsystems, is offering a NEW online program at PayForIt.net. You may pay for your child's lunch or check their account balance on line. PayForIt.net allows you to create a secure online account with your Visa, Master Card or ACH Electronic Check. Click here to go to the PayForIt.net web site and set up your student's account. 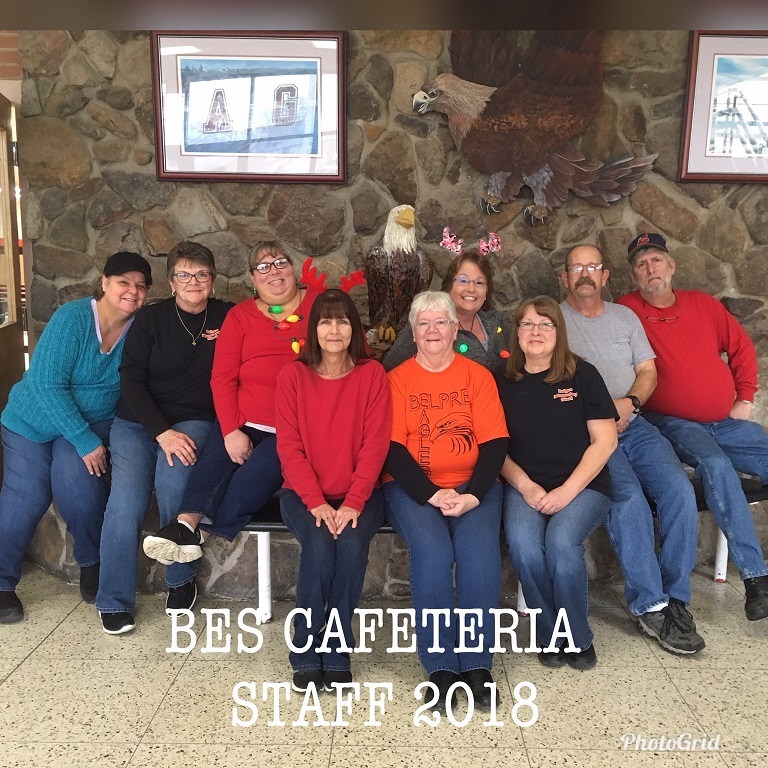 Write a check to Belpre City Schools; please write your child's full name in the note section of the check. Send cash in an envelope with your child's full name printed on the outside of the envelope. If you would like to check on your child's lunch account balance, please call Kimmy at 423-3010, Ext. 406. If your student doesn't have money by lunchtime, we will still offer them a cheese sandwich, fruit, vegetable and milk. If you have any questions, please feel free to call me at 423-3010 x406, or the Foodservice Director, Jennifer Currey, at 423-3010 x406. Want to discuss school meals? Join the Food Committee. This committee will meet 4 (four) times this year; students, parents, teachers and administrators are welcome. If interested please call Kimmy - 423-3010 ext 406. This institution is an equal provider. If your child received FREE /REDUCED lunch last year the 30 day grace period is up. If I have not received a new FORM or a SHARE PAPER your child will be put on FULL PAY... until I receive the proper paper work and you will be charged the full price to pay.